What she encountered in the hands of the Rwandan Patriotic Front once there has been widely reported and documented by different news outlets and human rights organisations. On October 14th, 2010 the Rwandan president Paul Kagame ordered her imprisonment. The initial sentence of 8 years was increased to 15 years on December 13th, 2013. This was surely for the RPF ruling party to ensure whenever she might get out, she won’t be in a capacity to compete politically. There might be naive or unscrupulous voices that could claim that she was accused then sentenced by the Rwandan judiciary for something substantial against her. But informed people and even anyone aware of how the country is run will concede that nothing happens in Rwanda without the president authorising it or being aligned with his desiderata. In this note, I deliberately ignore to refer to Kagame’s justification of Ingabire’s imprisonment. To highlight it would be to give it any credibility it does not deserve, because it was totally fabricated to get her in jail. Surprisingly, even the witnesses that the prosecution brought to court confessed later on to having been coerced to accuse her. Having said that, the main reason of her being silenced is that she constitutes a threat to his power and political authority. As I write about Victoire Ingabire, I cannot however help thinking of Leoncie Nyiransekerabanzi, Stephanie Ndayambaje and Jean Nepomuscene Nayinzira, because these were close to home. They were family. There have been people like Emmanuel Gapyisi, Felicien Gatabazi, Martin Bucyana, Landouald Ndasingwa, Dr Theoneste Niyitegeka, Deogratias Mushayidi, Me Bernard Ntaganda, and a multitude of others whose names will never appear on platforms like these. This is not because of their less important humanity or status, but only because they hadn’t risen to social preminence or close enough to the writer to be namely remembered. They didn’t all (named or not) have a chance in the face of the tragic end or fate brought to them by the present rulers of Rwanda. The majority of us Rwandans, if not all, have examples of people who sacrificed their lives for us, and/ or continue doing so, in order for future generations to live better. It has taken some time to see the outcome of their sacrifice. It is neither possible to predict with certainty when it might come. Despite everything, it will come undoubtedly. Those martyrs stood up for something valuable but at the same time priceless: freedom. Whether inside or outside Rwanda, there are thousands, if not hundreds of thousnds, – particularly in the Congolese forests -, who died, or those who everyday somehow are dying by accepting the sacrifice of dying a little bit or totally so that some human dignity could be preserved today and in the future. 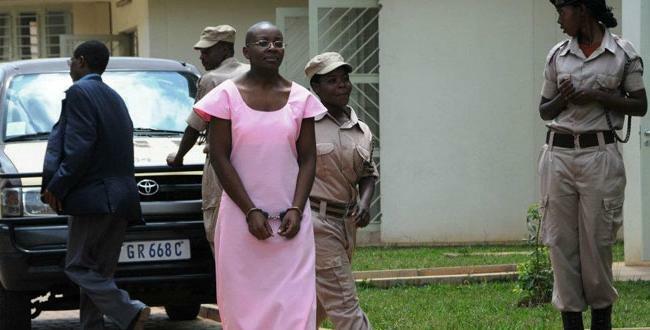 While on October 14th, 2015, we commemorate five years of unjust imprisonment of Victoire Ingabire, this is equally an opportunity for all justice-seekers to associate with and honour all those who are not with us anymore, because of the sacrifice of their lives for a common, just and fairly shared humanity. For us to reach reconciliation, we need to empathize with everyone’s sadness. It is necessary that for the Tutsis who were killed, those Hutus who killed them understand that they need to be punished for it. It is also necessary that for the Hutus who were killed, those people who killed them understand that they need to be punished for it too. Furthermore, it is important that all of us, Rwandans from different ethnic groups, understand that we need to unite, respect each other and build our country in peace.